A timeless chair inspired by the golden age of cinema, the Winfrey Bar Chair is a must-have piece for any design lover. Part of the Century Collection by Ottiu, Winfrey combines a striking mid-century modern style with art deco finishes. Crafted from the finest materials, the brushed brass frame supports a seat upholstered in genuine leather. From hand-stitched seams to Capitonné detailing, the Winfrey bar chair will bring a touch of glamour to any interior space. 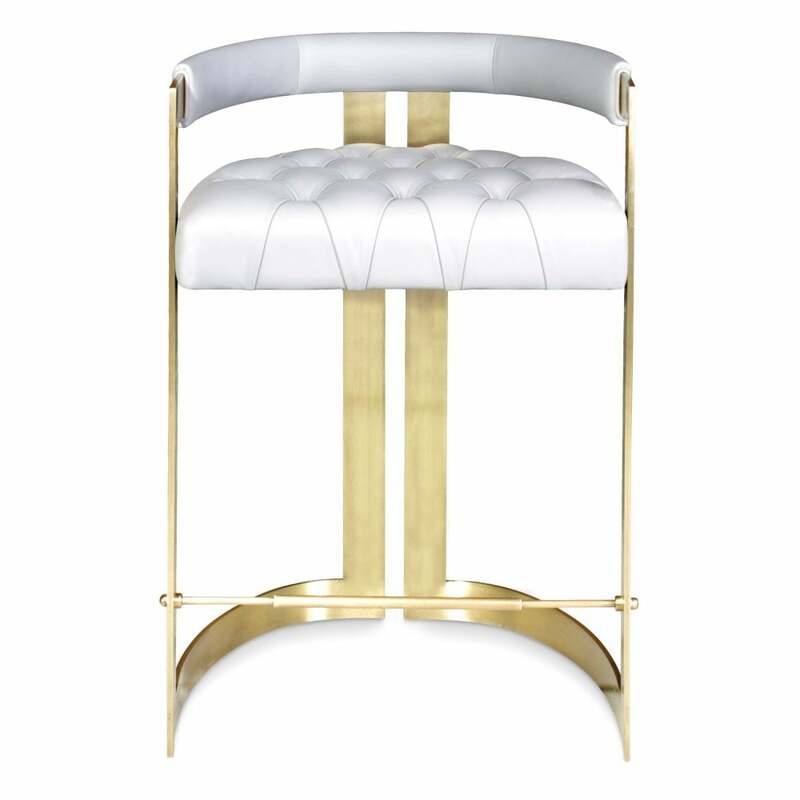 The perfect addition to a home bar or kitchen island, combine the Winfrey bar chair with marble countertops and brass accents for a luxe look. Ideal for residential and commercial spaces, Winfrey works beautifully in both contemporary and art deco inspired designs. Available in a range of colours and finishes, make an enquiry for more information. Priced for Upholstery: Ottiu Fabric. Structure: Aged brushed brass. Details: Capitonné.